Photo Credit: Untitled (Kewpie Doll), 1971. Judy Schaefer, model. Costume by Nancy Youdelman. Photograph by Dori Atlantis. An illustrated exhibition catalogue with critical essays by curator Laura Meyer and program alumna Faith Wilding is available from the Press at the California State University, Fresno. 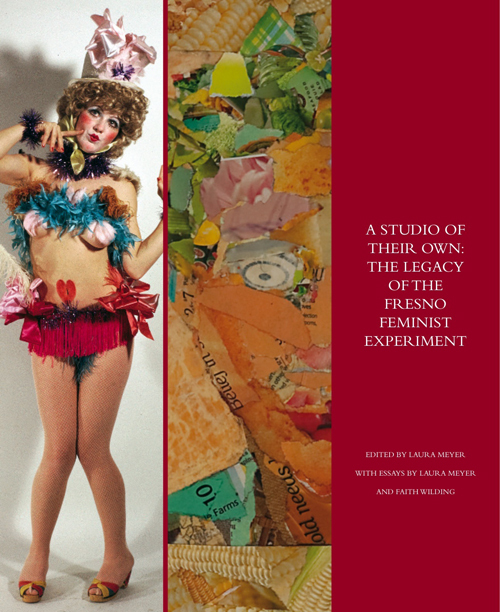 Front Cover of the Catalogue of A Studio of Their Own, The Legacy of the Fresno Feminist Experiment edited by Dr. Laura Meyer with essays by Laura Meyer and Faith Wilding.